When you look at a bird, what do you see? Most people see freedom. When a bird isn’t taking care of the basic necessities of life – food, shelter (a nest), and it’s mate and/or offspring, it’s freely soaring through the air. Birds don’t know worry and anxiety. And that’s exactly what God wants for all of His people. It’s why Jesus came – to set the captives free. Not just freedom from sin, but freedom from worry and anxiety. Freedom to live a full and abundant life. Worry goes against faith. Worry says, “I have to be in control.” Faith says, “God is in control.” Worry says, “If I don’t do X, Y, and Z, then my world will fall apart.” Faith says, “God is doing X, Y, Z, and everything else I can’t even see. He’s holding my world together.” Worry will make you sick. Faith will make you well. A bird, which acts only on instinct and not logical thought or emotion, can go about its business freely and without worry because God orchestrates everything in nature. That’s also the key for us – God orchestrates everything for our good. When we allow ourselves to be swept up in the flow of the Holy Spirit, He takes care of everything. He’ll provide you a home, clothing, finances, friends, family, dreams, hopes, a future – you name it, He’s got it. He wants to lavish His love on you. He calls you His child. His beloved. You are favored by God. You are cherished by God. So don’t worry about what will happen in life. Let God take care of you. Trust Him – He is always faithful. Find your strength in Him. Find your value in Him. You mean so much more to Him than a bird. Marty is married to his beautiful wife Kim and father of three boys – Marty Jr. (11), Aidyn (4), and Timothy (1). He lives in Rio Rancho, NM. 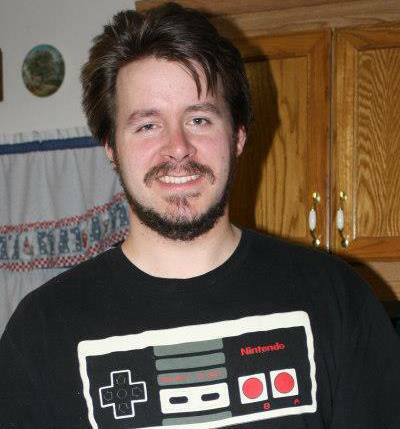 He is a pastor, gamer, web developer, and all around nerd.